Since Occupy Wall Street began September 17th similar and interrelated events throughout the country, including on September 24th right here in Chicago, and the energy has been undeniably inspiring world wide. 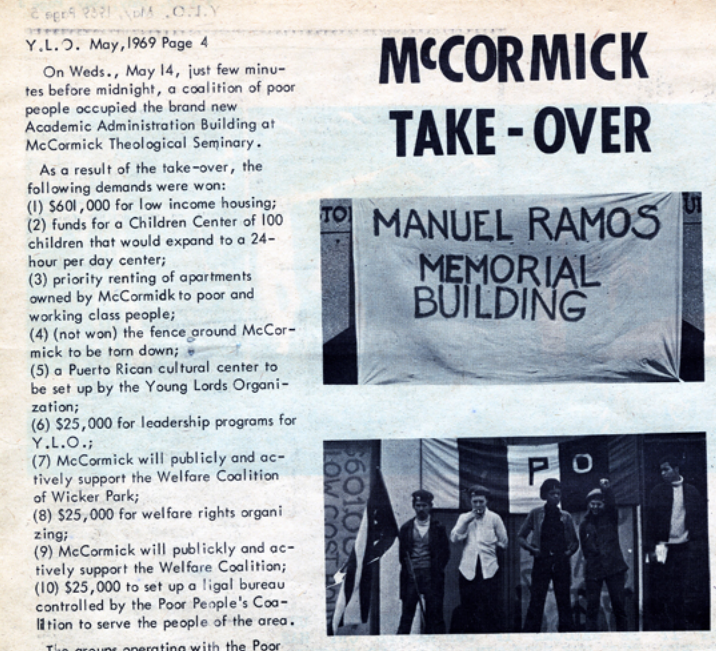 Here in Chicago we have important local histories of occupations like the Young Lord’s takeover of McCormick Seminary at DePaul in 1969 and the Chicago Indian Village in 1970; in recent years, including the Republic Windows Factory Occupation of 2008 and the Whittier School occupation of 2010 along with the longest running hotel labor strike in US history at the Congress Hotel. To celebrate this moment, document this time and some of the cultural shifts happening in politics today, I am starting to make a series of short videos based on my observations. I made this video on the 2nd night Occupy Chicago tried to move from the temporary home which has been set up at the corner of Jackson and Lasalle in the financial district (a part of Chicago which I have documented before in relation to the activism of Family Farm Defenders who annually protest the Chicago Mercantile Exchange’s effects on dairy prices through speculation) to a new home in Grant Park at the corner of Congress and Michigan. This video reveals what I consider to be one of the more interesting aspects of the “occupy” actions, the speaker calls for everyone to look at the new site of encampment as a home, a place to build a care for. This is rhetorically very distinct from your typical protest which is anti-climatic, organized from behind the scenes as a media stunt that dissipates when the cameras go away or people get tired of chanting. Occupy has hit on the necessity for prolonged activism that has the potential to break through the sound-bite culture of media-oriented activism and become integrated into public spaces and the fabric of people’s daily life. Where it goes, we shall all see… and hopefully engage with and contribute to.